Bunraku Bay Puppet Theater, the only troupe in the United States that performs the traditional Japanese puppetry known as “ningyo joruri” or “Bunraku,” will present an evening of puppet theater on stage and a screening of the short film “Kaiju Bunraku” (14 minutes), one of the films selected for the 2017 Sundance Film Festival, which features the artistry of Bunraku Bay. Free and open to the public, the performance will begin at 7 PM on Tuesday, March 28 at the O’Donnell Hall of the Whitlock Building. 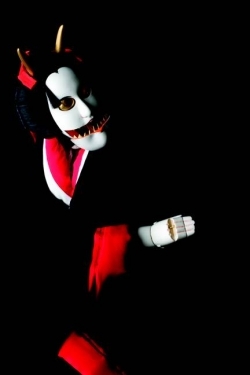 It will feature five pieces of traditional Japanese puppetry suitable for all ages, kindergarten and up, followed by a screening of “Kaiju Bunraku” and a question-and-answer session, including an opportunity for audience members to see the puppets close up. The event is sponsored by EKU Asian Studies, which offers a minor (18 credits) and a certificate (12 credits). For more information, contact Dr. Minh Nguyen, Director of Asian Studies, at minh.nguyen@eku.edu.